Sometimes prospective students tell us that they don’t want to learn Spanish (español) but “castellano” (Castilian), or “the Castilian dialect”. Sometimes, other people ask to learn the Latin American Spanish; not the “castellano” dialect. Let us clarify a few things. There is only one language, and you can call it “español” (Spanish) or “castellano” (Castilian). For sure, there are different accents in the same way that a Texan and a Bostonian share the same language –not trying to joke here- but have different accents. We will address what to call the language of Cervantes and the main differences between the Spanish (or Castilian) from Spain and the Spanish (or Castilian) from Latin America –if you consider the Spanish from Latin America as a whole, which is a matter for another posting. About the name of the language, which should we choose, “español” or “castellano”? Many years ago, when I worked in Madrid for an Iberoamerican Educational TV station, I asked Víctor García de la Concha, then director of the Real Academia Española, and currently director of the Instituto Cervantes, this question. He answered me “muy fácil” (very easy), and told me, more or less, that when in Spain –where I am originally from- you should say “castellano” because there are other languages there like Catalan, Basque or Galician, but when you are not in Spain you should say “español” because it is the way that the language is recognized everywhere. This is especially true in the USA, although the name “castellano” is prefered to “español” in some countries like Argentina. So, generally speaking we should say “español” world wide except in Spain, where we should say “castellano”. Because I am very obedient I have done so since I spoke with the great man. Besides, I followed his directions even in its spirit. I live in the Washington DC area and here and there I talk to other Spaniards who, besides Spanish, our common language, speak Catalan, Basque or Galician. In these circumstances, I always refer to our common language as “castellano”. That said, there are two main differences between Latin American Spanish and the Spanish from Spain. The first difference has to do with pronunciation of the letters “c” (just syllables “ce” and “ci”), and the letter “z” which are both phonetic in Spain, (except in Andalucia and the Canary Islands). In Spain they are pronounced as in “ think”, ([th]ink). I have this phonetic pronunciation. Take the pronunciation of “ce” on “cena” (dinner), and “ci” on “cita” (appointment)”. In Latin America and the south of Spain people pronounce them [s]; “cita” would be [s]ita, and ”cena” would be [s]ena. Take now “cerveza” (beer). “Cerveza” in Latin America is [s]erve[s]a”. My wife, who is half Costa Rican, half Mexican has this “Latin American” pronunciation. I would like to go a little deeper about into letter “c”. Like I said, in Spain it has this pronunciation ([th]ink) just with the vowel “e”, as is “cerca” (near) and the vowel “i”, as in “cine”. In Latin America it would be [s]erca and [s]ine. How about with the other vowels? With the other vowels the letter “c” is pronounced with the sound “[k]” as is ([k]arate) in the entire Hispanic world. So, the “c” with the “a” is pronounced “ca” like in “casa”, “Canadá”; the “c” with the “o” is “co”, as is “cosa” (thing), “comer” (to eat); and the “c” with the “u” is pronounced “cu]”, as is “cuando”, “cual”. and pronouns (e.g. vais, coméis, os llamáis). Believe me, my fellow Spaniards, nobody wants to learn one more pronoun if that could be avoided. 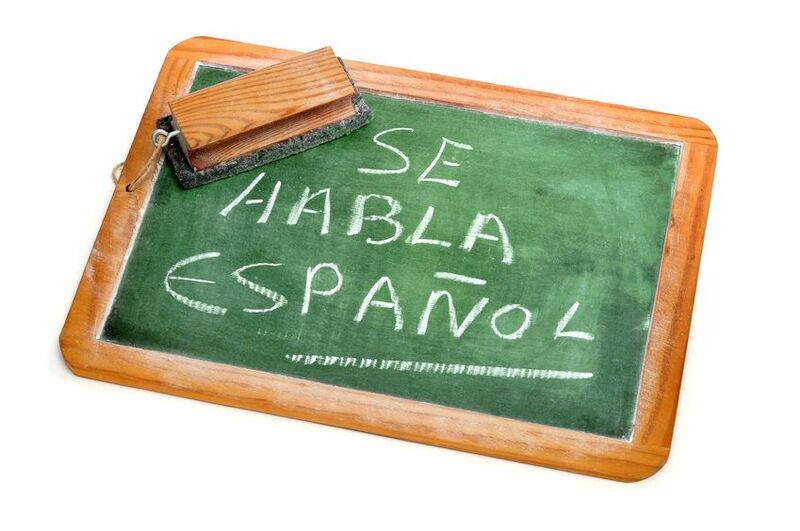 I have been teaching Spanish in the DC area for almost 10 years now. Who is interested in the “vosotros” pronoun and its conjugations? Spouses, boyfriends and girlfriends of Spaniards, people who are going to live there, and academics, scholars and the like. I know several of these amazing crazy people who have fallen in love with “vosotros”. I love them, but things are the way they are. But what about the pronunciation? In my view it is not very important. In the end, the only thing that´s really relevant when trying to learn a language is the quality of your tutor, the way he or she teaches you. But if I were a student with the option of choosing between two big caliber tutors and one of them used phonetic pronunciation, I would chose this one. Just for one reason: You would have fewer spelling mistakes when writing. For example, if you pronounce “cita” the Latin American way, it is easy to write “sita” because you will tend to write the same way you pronounce “[s]ita”. With phonetic pronunciation you would avoid many spelling mistakes. So, are there just 2 main differences between castellano from Spain and castellano from Latin America? Just the pronunciation of the letters “c” and “z” and “vosotros”? Well, on other posts we will talk about countless words and idioms –not to mention accents- that change not just from Spain to Latin America but from one country to another e.g. “piscina” (swimming pool) in Spain is “alberca” in Mexico; “resaca” (hang over) in Perú is “cruda” in Mexico; “los deberes” (homework) in Spain is “la tarea” in Latin America; boyfriend or girlfriend are “novio/a” throughout the whole Hispanic world, but all Chileans say instead “pololo/a”. Let´s finish with our point. You know British English and American English are not identical but there is only one English language. It is the same thing with the Portuguese from Portugal and the Portuguese from Brazil. And the same is true with Spanish, just one language, but you can call it “español” or “castellano”. Nice blog. I don’t know if this is a correction or a comment, but in Chile, where I spend 1-2 months a year, “español” is widely referred to as castellano, not that use of either word would cause any confusion. En la escuela hay dos compañeros de Chile y nos dicen que allí se usa más “español” pero no dudo que tú hayas oído más “castellano”. Si sé que en Argentina, país vecino de Chile, se dice generalmente “castellano”. Saludos.